On February 12 – 14 2019, meet us at World Ag Expo, Tulare, California, the world’s largest agricultural exposition. 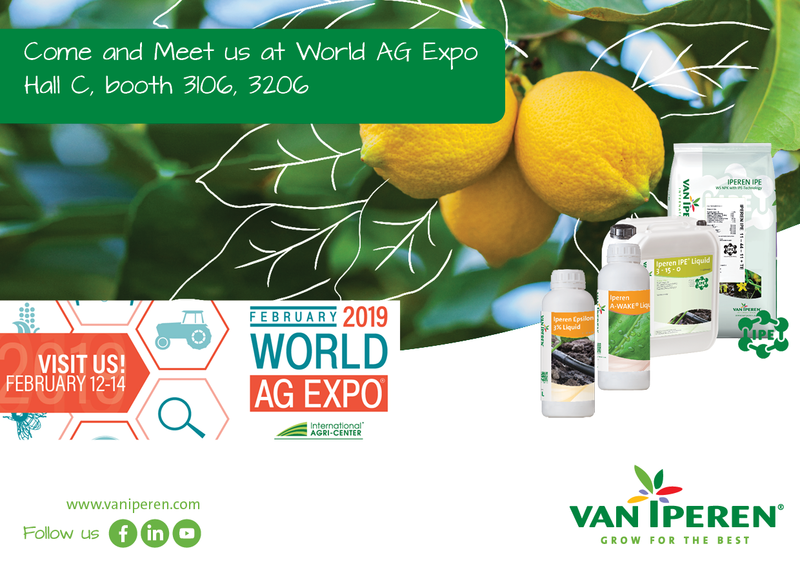 Meet us in Hall C Booth 3106, 3206, we would love to talk with you about our Essentials and High Performing Solutions that meet the challenging needs of agriculture today. With 1,500 exhibitors presenting the latest in farm equipment, 2.6 million square feet of exhibit space and 106 700 attendees coming from 63 countries last year, for sure World Ag Expo is worth a visit! Find practical information on the World Ag Expo website.